With the goal of sharing how Snapchat can help level-up ad performances in the sales season, today we co-hosted a workshop with Snapchat at their Paris offices. With a room full of performance marketers, social media managers and agency folk, we heard a series of presentations from people who have seen the power of Snapchat advertising in action. Performance Marketing on Snapchat - Grégoire Gimaret, Product Strategy, Snap Inc.
5 golden rules for advertising success on Snapchat - Martin Mangez, Creative Strategy Lead, Snap Inc.
Snapchat is all about self-expression. As a function of its design, the experience is a lot more private and it doesn't have the same spirit of comparison as other platforms, where your number of followers and likes can quickly become something of a status symbol. Grégoire Gimaret (Product Strategy, Snap Inc) summed it up when he said: "Social networks are characterised by just a few people pushing content to the masses. With Snapchat, we turn that on it’s head - it’s about everyone creating content that they diffuse to just a few of their closest friends and family". By inviting customers to play and share, lenses are the most playful and memorable way to increase awareness, on a massive scale. With one tap, you can invite Snapchatters into your world — and your story. Captivate your audience with a full-screen experience. They are full-screen, 100% viewable, and have audio on by default, and are available with objectives including web view, app install and long-form video view. Now you can reach your audience with a branded tile in the Discover feed. With one tap, Snapchatters can jump into a collection of 3-20 Snaps and dive deeper into your new fashion collection, movie release, suite of products, and more! 3. 90% of users share their geo-location with Snap. Location is a crucial part of the Snapchat experience, and user seem to understand that; Snap notes that a staggering 90% of users have geo-location features enabled, meaning they not only get a better and more contextual experience, but are also open for targeting with location-specific ad formats like lenses. Snapchat has a vision to reinvent product discovery, and Augmented Reality (AR) is set to play a major role. 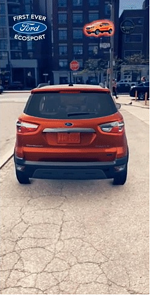 Grégoire shared the example of a campaign from Ford, which enables Snapchat users to place the new EcoSport vehicle into the world around them, and even go inside it and check out the interior. As part of his '5 golden rules for advertising success on Snapchat', Martin Mangez (Creative Strategy Lead, Snap Inc.) spoke about the importance of sound in Snapchat advertising. Since 3 in every 5 Snapchatters have sound on while watching Snaps, make sure you use it to grab attention. Linked to this, ensure the first two seconds of your ad grab the user's attention - after all, from the very start, you're only a swipe away from being forgotten. It was noted during the session that as much as 60% of consumers prepare their activity before the summer retail sales even start. As such, make sure your ads don't just run during the sales. Plan a solid cadence in the weeks leading up to ensured your captured in as much of that 'planning' as possible. For a few more tips on how to do this, check out our eBook which provides a guide to summer sales success. Our client Blackpills shared some insights on their success with Snapchat advertising. Their advise to other advertisers was to keep it simple and remember the uniqueness of the platform - it has a more personal and private feel that many other networks. Blackpills noted their goal with ads on Snapchat is to join the conversations happening between users, and blend with the social experience. Interested in some more tips for your summer sales campaigns? Download our Ultimate guide today! With tips on which ad formats to use, as well as what makes this time of year special - you don't want to miss out on our new eBook! Download here or at the link below. About Anne Tirmont Marketing and Communication Manager, Anne, never ceases to amaze the team at MakeMeReach. 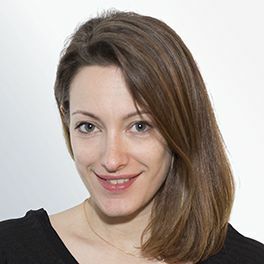 Despite organising various events for our clients all over the world, she still finds the time to write some inspired blogposts on the most exciting social ad tech news.